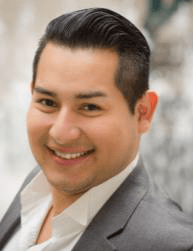 El Salvadorian tenor Mario Arévalo debuts with Florida Grand Opera this season. Past roles include Alfred inDie Fledermaus with Hofstra University Opera, Kazimierz in Stanislaw Moniuszko’s Hrabina with OperaOggiNY, Monsieur Grivet in Tobias Picker’s Thérèse Raquin with the Boston University Opera, Le petit vieillard in Ravel’s L’enfant et les sortilèges with the Boston University Symphony, and international debuts in Canada and Italy as Hassan/Guardiano in the world premiere of Carlo Pedini’s Jago with International Opera Theater. Before arriving at FGO in 2015 he joins the young artist programs of Virginia Opera and the Caramoor Center for Music and Arts. Mario received his master’s degree from the College of Fine Arts at Boston University and his bachelor’s degree from the Conservatory of Music at Purchase College. This season at FGO he study-covers Count Almaviva in Rossini’s The Barber of Seville and Ernesto in Donizetti’s Don Pasquale, in addition to making numerous regional outreach appearances.